According to Facebook, the ads you see on your feed are influenced by various factors like demographics (age, gender, and location) and activities. It can be downright annoying—sponsored content flooding your News Feed! We know. But there’s a way around it. 2) Click Adverts, and then hit the Edit link on Adverts based on my preferences section. 3) Click Visit Advert Preferences button. In the next page, you will see a list of Interests that you can click to see examples of adverts relating to that particular interest or category. 4) Hover over a particular sub-category card and the x button will appear. 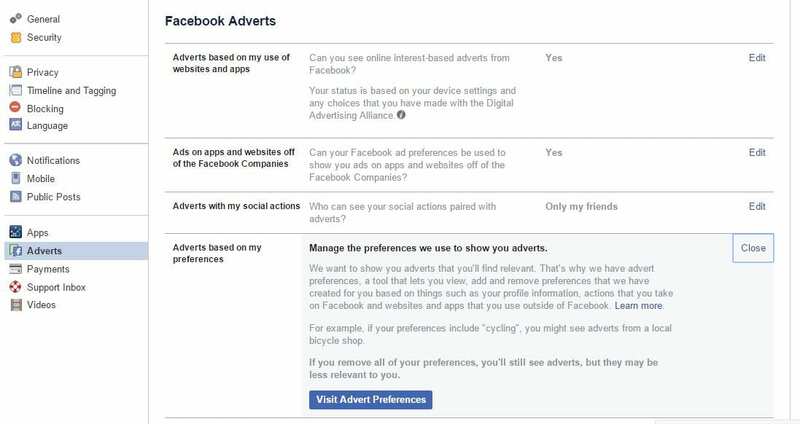 5) Click it if you want Facebook to remove adverts relating to that sub-category. 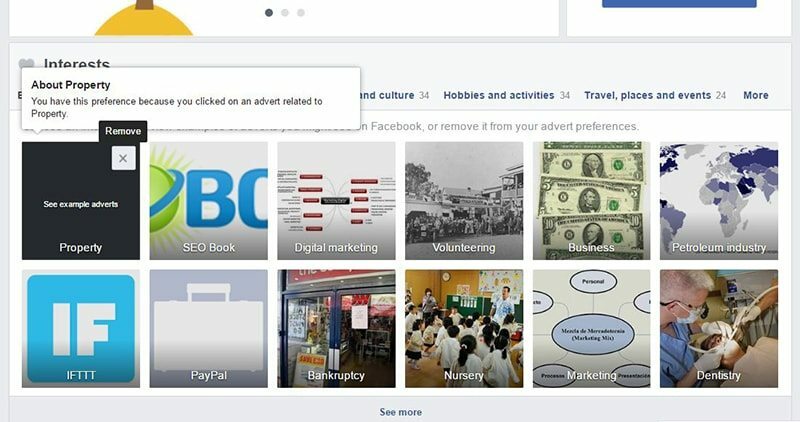 You will no longer see future adverts in your News Feed as well. 6) Click See more below to see the other sub-categories that you may retain or remove. Below that you will see the list of advertisers with your contact info or whose website or app you used in the past. You may also remove it by doing the above process (hover + x). If you’ve accessed your FB account on a public computer and forgot to log out, you can do so using another computer. 1) Go to Settings by clicking the drop-down arrow at the upper right-hand corner of the screen. 2) Click Security then, hit the Edit link on When You’re Logged In section. 3) You may End All Activity or end sessions one by one. Data are provided particularly about the browser, device, date and location. If something appears fishy, end the activity at once. From there, you may edit all security-related settings including login alerts, login approvals, and recognized devices to amp up your Facebook security game. Check each security feature to make sure that your account won’t get compromised. WORD TO THE WISE: Explore all the security features so you may further protect yourself, your FB properties and all. For instance, nominate some trusted contacts who can help you recover your account if you got accidentally locked on Facebook. You can always change the name(s) so don’t worry. Facebook wouldn’t stop with just reminding you and your friends of your birthdays and wedding anniversary. It can document your romance as well; well, at least with pictures. Yes, you may see a detailed history of you and your SO (significant other). Go to facebook.com/us. It also works using the search field. It only works if you have a listed in a relationship with [Name] or married to [Name]. If you’ve broken up with someone (but why oh why? 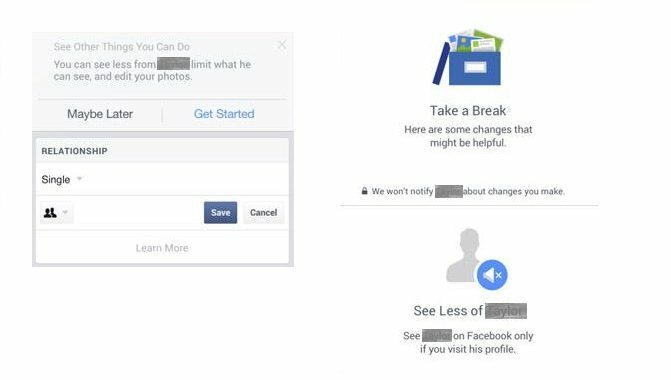 ), you may mute your ex on Facebook as well. Once you’ve changed your relationship status from in a relationship to single, there will be a prompt asking you if you want to less of your ex-flame. The future posts of your ex showing on your feed will be limited. So there’s no need to unfriend or block him/her. Also, Facebook also extends the use of emoji reactions. And, finally, there are hundreds (or thousands) of stickers to choose from! You may use them on posts, chats and comments. While at it, in Messenger, you may hold down the thumbs up like icon to make it appear larger. Watch it grow! It’s orgasmic! Can’t get enough of these? Type @dailycute in a chat or Messenger window and watch what happens. Cuteness overload!